[toc] Rheumatism is a well known disease. A lot of people suffer from rheumatism and is very common among people. It mainly affects women than men. Rheumatism is kind of disorder which causes inflammation, swelling, pain in joints, muscles, neck pain, bursitis and Osteoarthritis. There may be a lot causes as why a person suffer from Rheumatism. Both genetics and environment factors give rise to Rheumatic disorder. 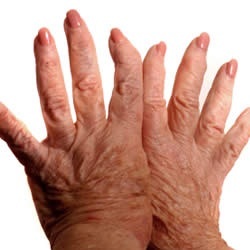 There may be more than 100 types of Rheumatism. Some of the common examples of rheumatism disorder are Fibromyalgia, Spondyloarthropathies, Scleroderma and Rheumatoid arthritis. Such kind of diseases mainly causes chronic pain and effects the different tissues and ligaments of the body parts. Swelling, pain, fatigue, redness and stiffness in joints and muscles are most common symptoms of rheumatism. If a person is suffering from Rheumatism he needs to consult a doctor so that his disease may not worsen further. A doctor may curb the pain through injections and drugs. But one can treat the disease at home with home remedies .It is considered to be cost effective and easy. A lot of women have been effectively able to treat rheumatism at home with home remedies and have operatively able to reduce the disorder to a great extent. One of the most preferable home remedy to cure rheumatism is chewing of walnuts. 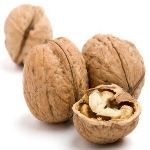 One can consume half dozen of walnut daily to alleviate the disease and its symptoms. It is considered to be easiest remedy and helps the immunity system to strengthen. But make sure that the patients chew the walnut properly for an effective result. One of the most effective ways of curing rheumatism is through potato juice therapy. We can get relieve from rheumatism as it helps to eliminate acid action via potato consumption. One can mash 2-3 potatoes and extract its juice. Take 2-3 teaspoon and consume it daily before meals for its positive effects. 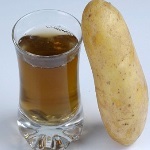 One can also make use of skin of potato to treat rheumatism disorder. The skin of potato is considered excellent for ailment caused by rheumatism disorder. One can boil the potato skin for few minutes and then strained the essence of the potato and consumed it twice daily. It will help in reducing the disease in a month’s time. 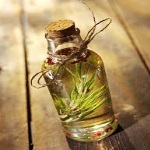 Another effective remedy to cure rheumatism disorder is through rosemary oil. It is very helpful in providing relief from muscle aches and fatigue. One can add few drops of rosemary oil in bucket full of warm water .After that one can soak one’s infected area in the water. After 20-30 minutes rinse with clean water. It helps to treat swelling, redness and chronic pain. It helps in reducing inflammation. One should follow the procedure 2-3 times daily to get a quick relief. It is best in reducing chronic pain. A good way of treating rheumatism at home is effectively using gourd juice. It helps in reducing inflammation as it contain anti inflammatory properties. It can alleviate problems like swelling and relieve pain. One can use gourd juices with different techniques. We can extract the juice of bitter gourd and apply it directly over affected areas to reduce inflammation. Another way is one can drink 1 cup of bitter gourd juice with adding a teaspoon honey. It helps to relive from joint and muscle aches. Regularly drinking bitter gourd juice will help to eliminate the problem within 3-4 months. 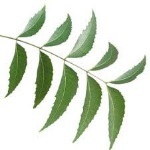 Neem has been used since centuries to reduce any kind of inflammation caused in the body. It contains anti inflammatory and anti fungal properties. Massage the infected area with neem leaves extract. Keep the extract for 15-20 minutes .Then rinse with cold water. It will help in repairing the damage caused by rheumatism. It helps in reducing chronic pain and relieve from inflammation, swelling and other ligament problem. Try using this remedy at least 2-3 times so as to get an effective result. One can treat rheumatism with help of garlic. Garlic is very effective in curing the disorder occurred due to rheumatism. The anti inflammatory properties in garlic help to reduce the inflammation and also helps reduce stiffness and pain. One can extract the garlic oil and apply it directly over the affected areas. It helps to give instant relief from chronic pain. 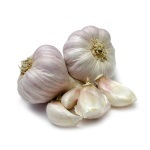 Another remedy is consuming 2-3 raw garlic cloves daily. It can also be served with food in our daily dietary nutrition. Make sure that we consume garlic on regular basis to reduce and treat the disease. 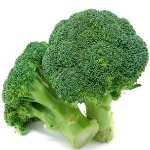 One can treat the different type of diseases occurring due to rheumatism by forming a paste of broccoli and cabbage. A lot of patients have been using these vegetables to get rid of their pain and inflammation. One can form a paste of broccoli and cabbage leaves. Both the ingredients contain zinc and potassium which contains anti inflammatory and anti fungal properties. One can boil the leaves of broccoli and cabbage for say about 20 minutes and form thick paste. After cooling apply the thick paste over the affected areas to treat on the diseases caused due to rheumatism. After applying the paste don’t forget to wrap a towel over the affected areas and keep it overnight. Then early morning rinse the area with cold water. This kind of remedy helps in reducing chronic pain occurred due to rheumatism. It also relieve from soreness and reduces swelling from joints and muscles. One can cure rheumatism at home with home remedies using Epsom salt. It helps in repairing the damaged caused in muscles and joint. It helps in reducing the stiffness to a great extent. One can add two cups of Epsom salt in the bath tub and soak in the affected area of pain in that water. Then rinse with clean water. The magnesium which is present in Epsom salt contain anti inflammatory properties that reduces inflammation. Repeat this kind of remedy to 3-4 times a day to reduce inflammation and pain occurring in the joints and tendrils caused due to rheumatism.